As any local or regular visitor to Niagara can tell you, the place is full of entertainment options. Arcades, nature hikes, bird watching, musical theater, indoor water parks, concerts, and more— from sun-up to long past sun-down, there really is always plenty of fun to be had. 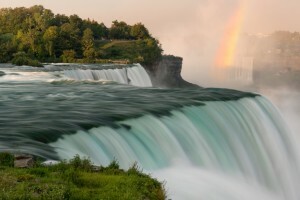 In fact, there’s so much fun to be had in Niagara that it’s hard to keep track of all of it — especially when what you need is something to do on a low-key afternoon. 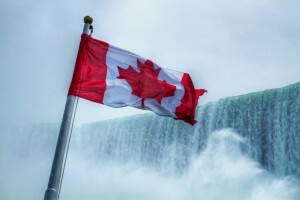 If you’re planning a trip to Niagara in the next little while, and you’d like to partake of some of the lesser-known entertainment options so as to not exert too much energy before nightfall, here is a closer look at four museums that are sure to delight. Since Niagara Falls is known as the Honeymoon Capitol of the World, it’s only fitting that a wedding museum should also exist within its city limits. Visitors will enjoy looking over wedding dresses and tuxedos that reach from the present day all the back into the 1870s. In addition to wedding attire, there is a large collection of other women’s and men’s clothing dating back into the 1830s. The Wedding Museum is also the home to an impressive hat collection that spans almost two centuries, and many of these pieces are on display, too. Located in a historic two-story limestone building that’s almost 150 years old, the Lundy’s Lane Historical Museum marks and commemorates the Battle of Lundy’s Lane, the Battle of Chippawa, and the War of 1812 overall. An expansive collection of artifacts related to the time and the war is housed in the museum, including numerous rare prints of Niagara Falls over the years. Open to curious visitors and researchers alike, the museum offers hours throughout the year in an attempt to keep the history of the region — and the early 19th-century war that affected it so greatly — alive. The museum also includes artifacts and displays related to the African Experience in Niagara Falls, as the region was an important stopping point for escaped slaves from the United States before the Civil War. While it’s only open to tours during the offseason by appointment, a visit to the Willoughby Historical Museum will afford you a chance to see artifacts from around the region, as well as insight into what life would have been like a hundred years earlier in Willoughby and Chippawa when Canadians lived a much more rural existence. In addition to preserving history, the museum also houses genealogical records that reach back generations. For anyone with ancestry local to the area, it’s a fascinating and unparalleled resource. Another museum to mark the Battle of Lundy’s Lane, the Hotel Museum sits on top of a portion of the Lundy’s Lane battlefield directly across from the Drummond Hill Cemetery, where some of the worst fighting of the War of 1812 occurred. Visits to this museum are guided and include tours of rooms that look much the same way a tavern would have looked back in the early 19th century. Open daily from May until November, visitors during the winter months are still able to book a tour through appointment. Whether you love exploring more of the region’s history or you’re just looking for a lazy and interesting way to spend an afternoon, these four museums offer a unique look into one of the world’s most fascinating regions.